Thank you for your interest in Guardian Angels Regional School. 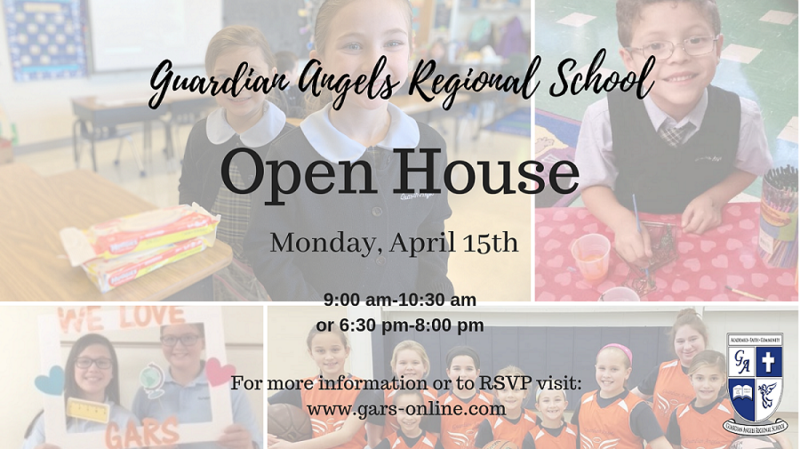 For all new families seeking enrollment in Kindergarten through 8th grade to Guardian Angels Regional School, please click on the link on the right hand side of this page to download the PDF version of our K-8 application. Once the application has been completed, please mail to our school office located at 150 S. School Street Gibbstown, NJ 08027. We will contact you by email to confirm receipt of your application. We encourage you to inquire about the availability in each class prior to completing an application, by calling our school office at (856) 423-9440. For all new families seeking enrollment in Pre-Kindergarten to Guardian Angels Regional school, please click on the link on the right hand side of this page to download the PDF version of our Pre-K application. Once the application has been completed, please mail to our school office located at 150 S. School Street Gibbstown, NJ 08027. We will contact you by email to confirm receipt of your application. Financial Aid is available through an online application process. To apply for financial aid please click on the FACTS Tuition link on the front page of our website and follow the instructions on the FACTS website for financial aid. Do you have a student entering 1st-7th grade? We have Transfer Grants available. Click on the Transfer Grant pdf for information regarding this program. Families who have students entering 1st-7th-grade classes are encouraged to contact our school regarding our grant program. For more information about our application process or to receive a packet of information about our school please contact the Advancement Office at (856) 423-9440.